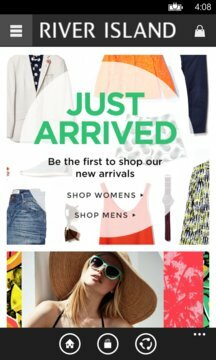 You can now get your River Island fix on the go with our Windows Phone app. 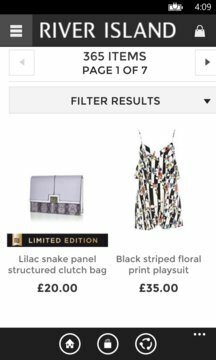 Whether your want to shop on the move, view our trends or check in to your local River Island store, it’s all available at the touch of a button. With native Windows Phone functionality you can share your favourite products and access the app right from your start screen.